Originally developed by Hawaiian Dredging in 2007, construction came to a stop with the slowing of the market in 2008 and 2009. 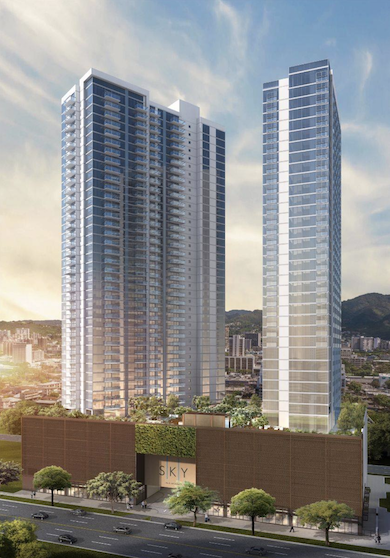 The project went to auction and was purchased at a great discount by Oliver McMillan, the developer for Symphony Honolulu. McMillan invested greatly in the project improving the finishes and materials that original developer promised. In 2011 buyers moved in after close to 5 years of waiting. 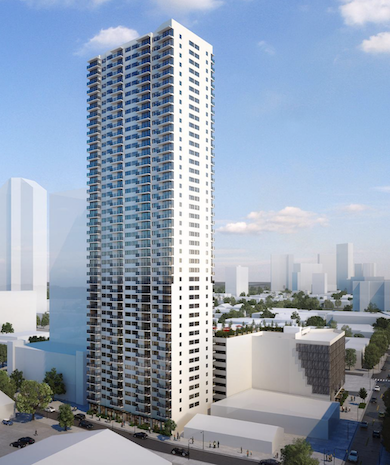 The project has turned out to be a great success and it’s one of the most desirable condominiums in Kakaako today. Buyers love the beautiful amenity deck that is very well landscaped, the modern lobby, and the overall location close to everything. No floor to ceiling windows in this building but they are very close, with windows spanning just above the knee to the ceiling. The amenity deck is what attracts most to Pacifica Honolulu. Beautifully manicured BBQ cabanas, private seating areas, two large movie theaters (perfect for Monday Night Football or Game of Thrones), large pool and jacuzzi, and great gym for working out. You’re probably thinking that most amenity decks in Kakaako offers all of these amenities and more, but at Pacifica it’s the landscaping that truly sets it apart. The landscaping is think and lush which helps create privacy between cabanas, and gives it an oasis like feel only feet from the busy Kapiolani Blvd. 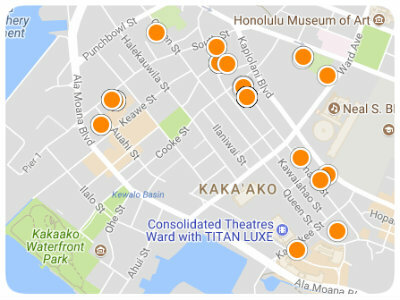 Pacifica Honolulu, on my opinion, is in an ideal location within Kakaako. Close to Ala Moana Center, on the outskirts of Ward Village, walking distance to the future Whole Foods Market, and very close to Ala Moana Beach Park. The area right around Pacifica has a lot planned which will ultimately change the area for the better. Right down stairs, literally in the building, is Doraku, Blue Tree Cafe, and Chef Chai’s. Doraku is a very popular sushi restaurant that blends great food and hip decor to create a very cool restaurant concept that is a must try. Blue Tree Cafe is owned by the same guy who owns Doraku and they offers lattes, coffee, juices, healthy snacks and more. Chef Chai’s is an upscale restaurant offers great island fusion food and drinks. The residences at Pacifica are all over nice, though some of the two-bedroom floor plans are pretty small at 728 square feet. If size isn’t what you’re looking for and just want a nice place to have in town close to everything then this could be perfect for you. Most units don’t have kitchen islands which isn’t a big issue, but something to keep in mind. Cabinets are of a high quality, but the countertops in some of the units are black which I would consider changing. It makes the kitchens feel dark and small. Other than those minor issues, Pacifica is a great building and a highly recommend buy.